I finally got around to buying another bottle of Ruby Pumps on eBay. I'm so glad to be able to own this polish again, and I'm happy China Glaze still makes it. 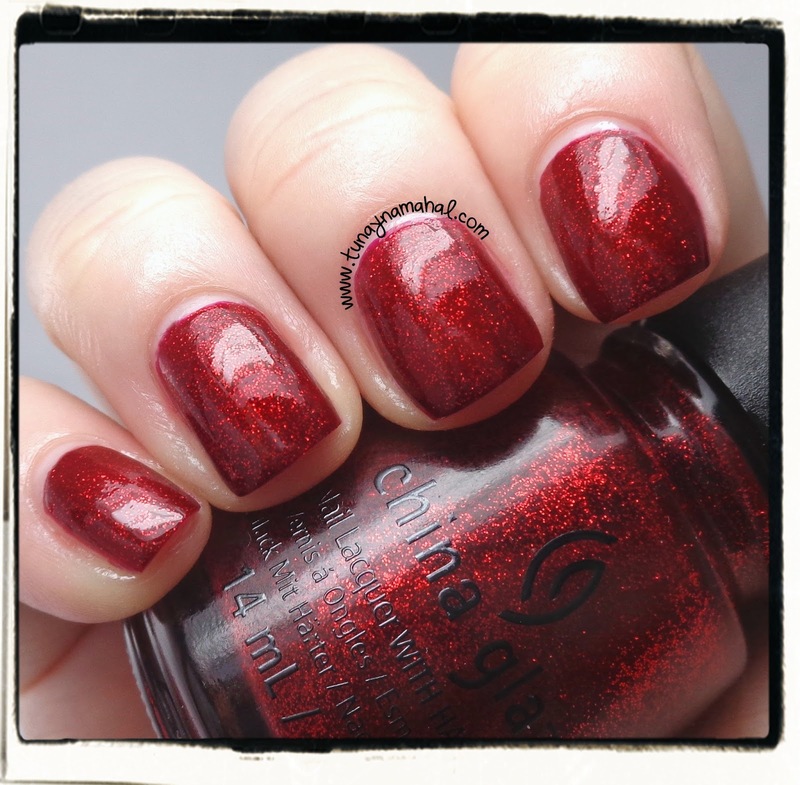 It's a gorgeous bright red, with red glitter that almost glows. I used two coats and one coat of Seche Vite topcoat. Here's a comparison of Ruby Pumps & Zoya Sarah. Ruby Pumps is a darker red with bigger pieces of glitter. 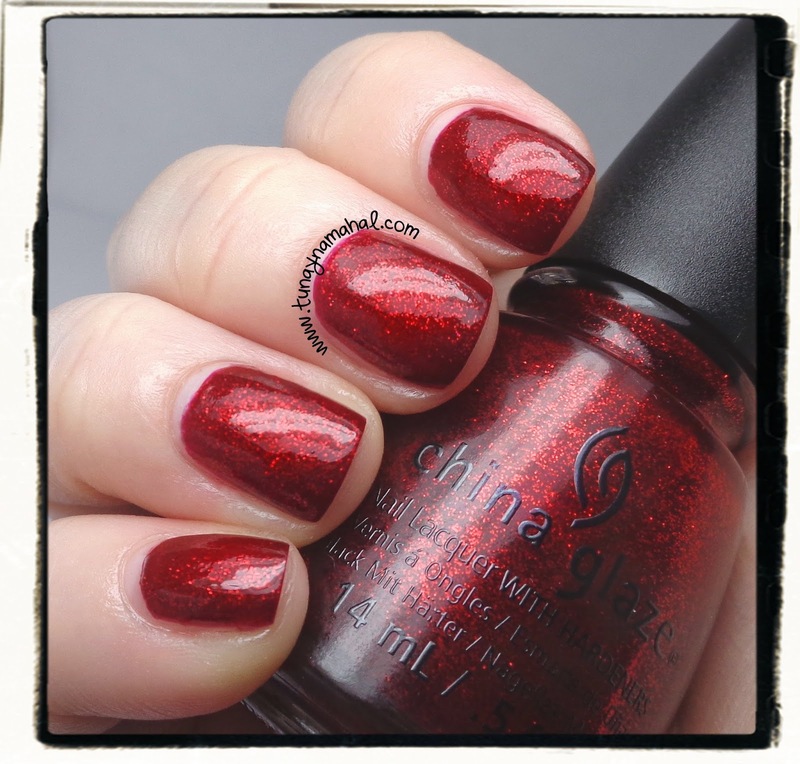 Zoya Sarah leans toward a blue based red with smaller glitter.